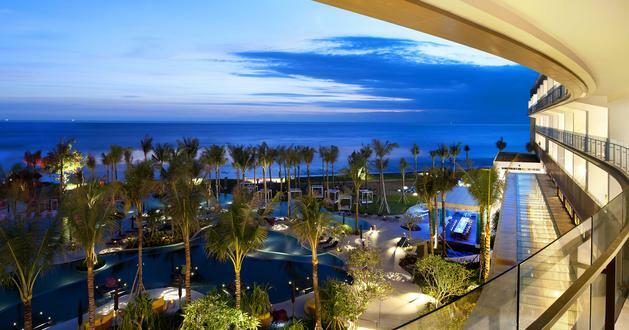 The W Hotel sits on prime beachfront land in Seminyak on the eastern coast of Bali. 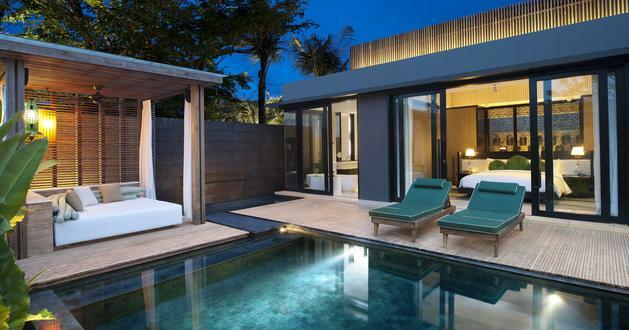 The resort encompasses a collection of private individual villas of varying size, together with a beachfront hotel block containing guest suites and common facilities. 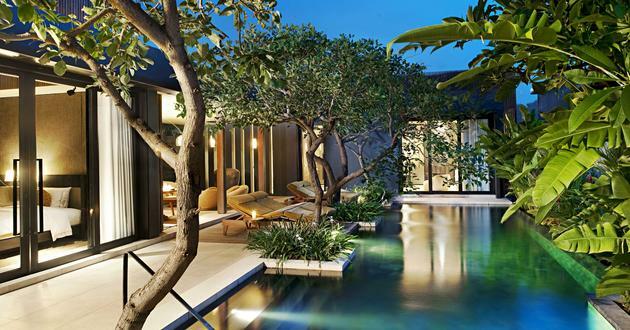 The planning approach embodies traditional aspects of Balinese courtyard living, where villas are arranged centrally around private walled courtyards with plunge pools and gardens. Local materials and craftsmanship are used throughout the resort, with rough stone walls complementing natural timber roofs and screens. 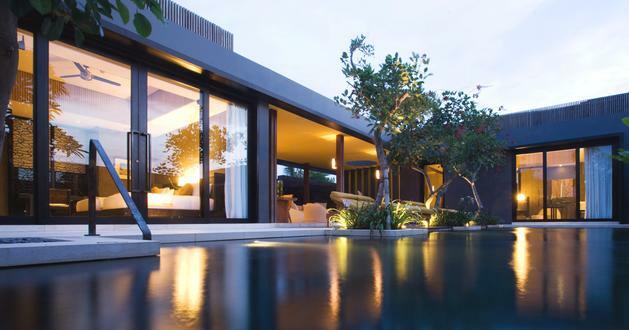 The material palette flows from architecture to landscape unifying the flow of space between villas.